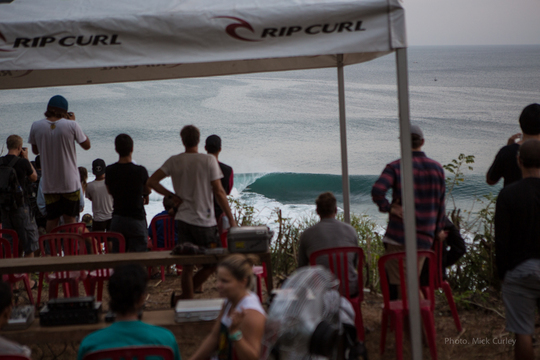 Dieses Jahr startete der Rip-Curl "Padang-Padang" Cup schon während der Trials mit absolut erstklassigen Bedingungen. Mustofa Jeksen durch. Wir werden weiter berichten wie Rahtu sich im weiteren verlauf des Padang Padang Cups 2014 machen wird. The final was a pitched battle between the two boys from Kuta, with Mustofa Jeksen drawing first blood with a respectable barrel that earned him 7.17 points (out of a possible 10) from the judges. 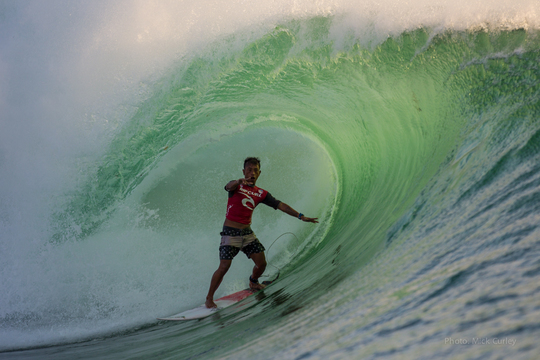 But last year’s Trials winner Rahtu Suargita posted the highest wave score of the final with his very first wave, a clean and deep double barrel that netted him an almost perfect score of 9.83, leaving no question that he wanted into the main event and the chance to hoist The Cup this year. 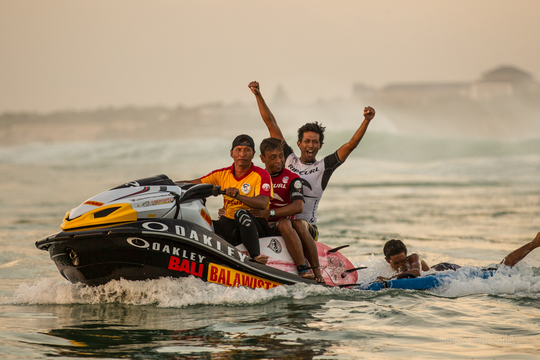 After working their way through the field of 24 surfers that started out the day with dreams of big hollow pits and a ticket into the main event, the four finalists took to the water for the last time as the sun was falling into the silvery green Indian Ocean. It all came down to wave selection, with Rahtu showing heaps of patience and savvy, ultimately finding another 9-point wave to add to his 9.83 for an 18.83 point total. And although Mustofa nailed a beauty of his own to score a 9.5 and an 8.33, he never found that magic wave that would propel into the lead, a 9.43.